When it comes to purchasing a new home, buyers are oftentimes faced with two options, either buy an existing inventory home which offers little to no customization or buy a pre-sale home where you can customize just about everything. For many buyers, being able to pick your lot, floor plan and finishes is very appealing, however you shouldn’t be so quick to rule out those move-in ready homes. You’ll be able to move into your home faster since construction is either complete or underway. Many inventory homes already include the same upgrades and finishes as you would find in a customized home. You can lock in lower interest rates. Many quick delivery homes often have a special or lower pricing. Keystone Custom Homes, you can take advantage of all the above benefits and more. 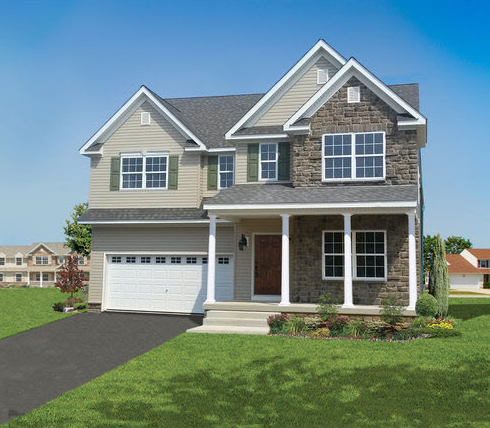 The Pennsylvania and Maryland home builder currently has 26 homes that will be ready for move-in before 2014, and these homes offer the same excellent features and finishes that would pick for yourself. Plus, for a limited time the builder is also offering an unbelievably low interest rate of 2.75 percent* on its quick delivery homes, many of which also include discount pricing. These fantastic homes won’t last long, so be sure to secure your favorite home and an extremely low interest rate by calling 717-368-9831. *The rate is based on an FHA thirty year, 5/1 ARM. The minimum down payment is 3.5 percent of the purchase price. The loan will be adjustable yearly after the initial fixed term of five years. The maximum increase per year is once percent. Seller is contributing a maximum of two points to buy down the current rate of 3.5 percent. The APR is 4.790 percent. Rates may be higher if customer does not meet underwriting criteria. Loans provided by Seller’s preferred lenders; buyer must use one of Seller’s preferred lenders and title company. Buyers must settle by December 18, 2013. Offer only available on Quick Delivery Homes. Offer subject to change without notice. Other financing available.